The Bay Hewitt Learning Philosophy™ is a testament to our understanding of the entire training cycle and age-old but dynamic adult learning principles. The same familiarity of these two things allows us to provide the best learning experience to our learners, ensuring learning effectiveness that translates to job performance with impact to their company's bottomline results. 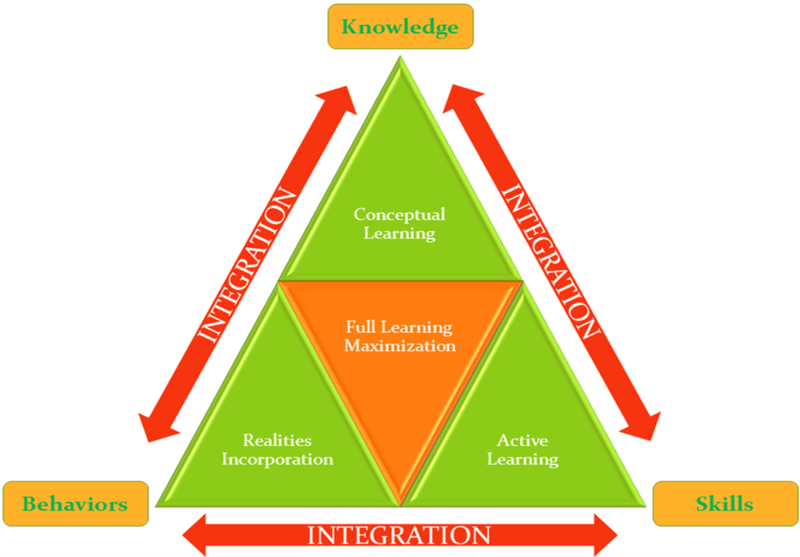 The three elements of Knowledge, Skills, and Behaviors are necessary to interplay in a learning session so all facets of learning are achieved and learning resorts into an an actual change of behaviors. 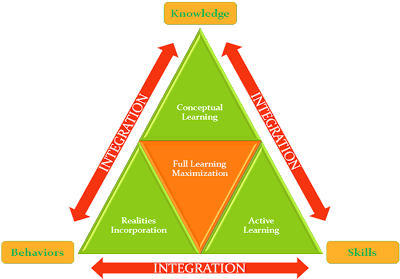 Conceptual Learning happens when concepts or knowledge-based information are learned, followed by an actual application in an Active Learning environment. While most training environments are safe, providing only for a mock experience, our use of scenario-based or simulation-centric learning that Incorporates Realities of the actual "performance or operations environment" allow for the development of Behaviors that aim to develop and sharpen decision-making skills. When these three elements are correctly used in an effective learning environment, there is sure-fire learning maximization that results to actual learner performance with impact to their organization's business objectives. If you would like to learn more about the Bay Hewitt Learning Philosophy™, please email us at info@bayhewitt.com or contact us via our form HERE. If you are interested to request for a proposal based our proprietary Bay Hewitt Learning Philosophy™, please click HERE.